yep yep ….. there’s finally a new event to anticipate !! 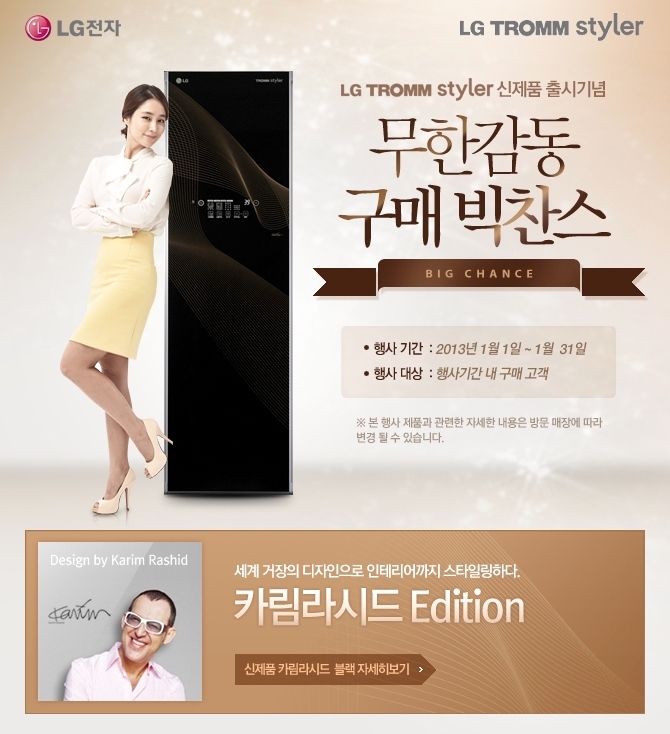 LG confirmed recently the upcoming autograph session with Lee Min Jung – who’s the spokesperson of LG TROMM & LG Styler – , Kim Tae Hee and SNSD on the next days . Min Jung’s fan sign event will be held on Nov 20 at 3:00 pm @ LG Bestshop Gangnam . Can’t wait to see our gorgeous Min Jung in the event …. lucky korean fans! UPDATE : LG announced that the first 10 fans present at the event will be able to have their photos taken with our girl! OMG!! !